Since both of the host is using different virtual switch name, i will probably having difficulties of perform live migration to both Hyper-V Host. To avoid this issue, we’re going to leverage on Ethernet Resource Pool. Our Hyper-V Host virtual switch is named “vSwitch-Production” and “Production”. Here we are going to add virtual switch to Ethernet Resource Pool by using Add-VMSwitch. Now you can live migrate the vm without worry about different virtual switch name. It as great stuff and i’ve converted almost every of my Hyper-V host to use ethernet resource pool. do give it a try and enjoy! Let start to enable Storage Resource Pool. First create few virtual hard using Hyper-V Manager snap-in and put into a folder. Example:- C:\ClusterStorage\Volume3\BackupStoragePool1. Let assume that customer A has several virtual hard disk and we group them into BackupStoragePool1 folder for ease of resource metering. For customer B, create another folder and use another Resource Pool name. Now let back to our scenario for customer A. Time to assign Storage Resource Pool to VM. Edit the VM Settings and Add New Hard Disk. Now you should be able to view the Resource Pool, select and and relevant hard disk. Service templates are designed to automate server role deployments from Windows Server 2012 and Windows Server 2008 R2 SP1 in a private cloud environment. Use the service templates to automate tasks, and reduce deployment time and cost by dynamically provisioning services that require server roles from either Windows Server 2012 or Windows Server 2008 R2 SP1 for customer services. 1. Once extracted the msi, open VMM Console and select Setting | Console-Add In | Click Import Console Add-In on the VMM ribbon. 2. Select the Service Template.zip and add the Console Add-In. 4. You can use the Service Template Explorer to search for and download service template packages published by Microsoft. When you open the Service Template Explorer, it runs a query to find the available service templates on the Microsoft Download Center. The query results appear in a list in the VMM console. You can then use the console to download individual service templates to a folder location that you specify. 5. After downloading a service template package, you can import it into VMM using the service template import feature. ( Library | Templates | Service Templates | Click Import Template). Below is the few templates which i have imported. Getting old and cannot remember some command. 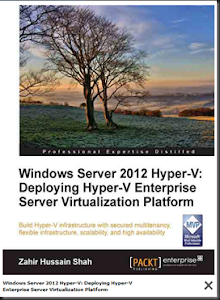 Time to compile and updated into here as the place to refer when configure server core or Hyper-V Server 2012. 3. To disable Windows Firewall by using Powershell. This come handy when you want to temporary disable windows firewall. Do remember to enable back Windows Firewall after configuration. It is about time that CoreConfig tool been refresh to support Windows Server 2012. Besides than convert to Min Shell interface, this is one of tool that i always keep close to me when deploy and configure Hyper-V Server 2012/ Server Core. For those who do not know , Corefig is a PowerShell-based GUI tool to configure the 2012 releases of Server Core and Hyper-V Server. You have created a virtual machine and this virtual machine has passed to another user for application deployment. Sometimes, your user tend to be smart and start to enable DHCP roles in the virtual machine which is not suppose to in your production environment. 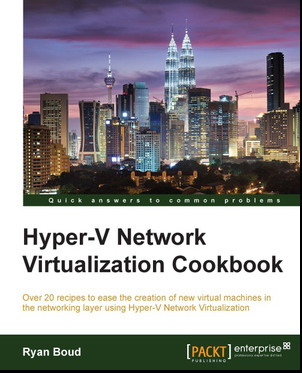 This scenario has created another rogue DHCP in your virtualization environment and you would like to prevent this from happening. 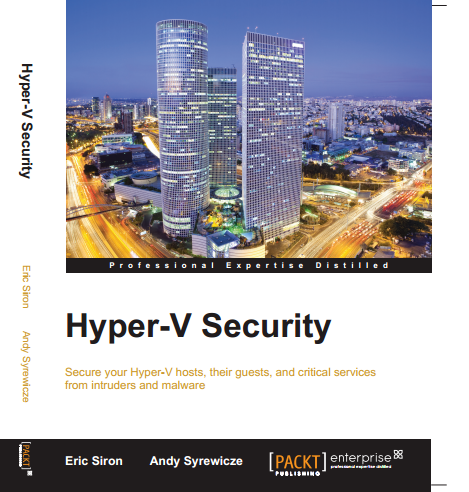 With Windows Server 2012 Hyper-V, you can prevent this by enable DHCP Guard. All you need to do is on the particular Virtual Machine Settings, Network switch tick “Enable DHCP Guard” . Even users enable DHCP roles and it is function as unauthorised DHCP in the VM, the DHCP message will be dropped and none of the other VM will get the IP address. In my test environment, i have tested it with DHCP roles enabled on VM1. None of the IP is been release out to other VM when i have turn ON DHCP Guard. To further test, i just “uncheck DHCP Guard” and it start to act as rogue DHCP and release IP to my other VMs. Therefore, start to protect your virtualization infrastructure by configure DHCP Guard. 1. Turn ON DHCP Guard for other VMs which is potential unauthorized DHCP server to prevent accidently become rogue DHCP. 2. Turn OFF DHCP Guard for an authorized DHCP server. VHDX format only can work in Windows Server 2012 Hyper-V , Hyper-V Server 2012 or later version. You cannot use VHDX file format in older version. If you wish to use, make sure you convert it back to VHD and the size of the VHD should not more than 2TB. 2. Follow the wizard and select Convert options. 1. Use System Center Virtual Machine Manager 2012 SP1 Console to convert. You can use the same method as listed above to convert VHDX back to VHD. Wow!.. it is quite a long time that i start to pick up my pen and start to write. 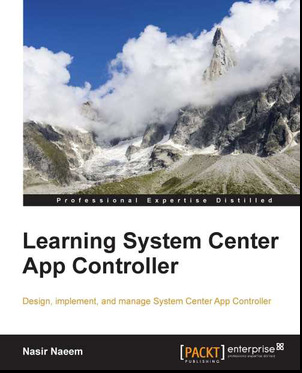 Well, after a long period of busy working, it is time to sit down and share more about Virtualization and System Center. Hmmm…let see what I'm going to talk today? In today post, I'm going to talk about creating an answer file for Windows Server 2012 which you are going to use to perform unattended installation for VM provisioning. 1.First thing to do is download Windows Assessment and Deployment Kit and install the following components:- Deployment Tools and Windows PE. 2. Copy the install.wim to your local disk. This is a must step as you need to has write access to local disk when create catalog. Start Windows System Image Manager, select Install.wim on your local disk. 4. Click Yes to create the catalog file . 5. From the sample xml located in C:\Program Files (x86)\Windows Kits\8.0\Assessment and Deployment Kit\Deployment Tools\Samples\Unattend folder, make a copy of the xml. These sample files include all of the settings needed to automate Windows installation. 6. Open the sample xml file that you have created in step 5. 7. Select to associate the answer file with Windows Server 2012 Image File and customize the answer file according to your environment. 8. Once complete configure the unattend.xml, put it into VMM Library and use it during VM provisioning. Well, with answer file you can save a lot of time on the VM configuration. Hope this give you a rough idea on where to start to create an answer file. Good luck. Another session of the day in Windows Server 2012 Roadshow, Malaysia. During this session, i have presented on how to configure high availability storage spaces and Scale out file server in Windows Server 2012. Just completed a session on Windows Server 2012 Road Show at Microsoft Innovation Canter @Singapore and gathered a lot of feedback . One of them is “What is the supported hardware that certified for Windows Server 2012?” Well, here is what i have gathered just to save your time from looking around. Altaro has provided ms4u.info 50 free license key for Altaro Oops!Backup to backup your Windows 8, Windows 7, Vista and XP. Yes, It is free! b) 10 license file – to MVUG members who’s requesting via MVUG Facebook page. Just post in the comment in MVUG FB. “I want the license file” on my post. I will sent license file key via private message to your FB account. c) 24 license file – to interest people who are attending my session during Windows Server 2012 roadshow. ii) 16 license file for 1st and 2nd Session – @Malaysia , 6th Dec 2012.
d) 6 license file allocated as spare first. 1. You can download Oops!Backup here: http://www.altaro.com/home-pc-backup/download_update_xmas.php. For more information about Oops!Backup check out: http://www.altaro.com/home-pc-backup/. 3. Request license file by following the options as listed above. Like your free 50 free licenses? Like Altaro on Facebook and follow us on Twitter and Linkedin! Join MVUG as a member to learn more about virtualization and share your knowledge to the user group. Click here to join. I will post in the comment of this article when the 50 license file has taken. All license file will be send by 7th Dec 2012. So hurry, while stock last. Introduce NEW Veeam Backup Management Suite—for even more proficient data protection and virtualization management! Altaro, developers of Altaro Hyper-V Backup, are giving something back this holiday season and are giving every Microsoft Hyper-V admin 50 licenses of their desktop backup software, that’s up to $2,000 worth of software. There’s no catch! 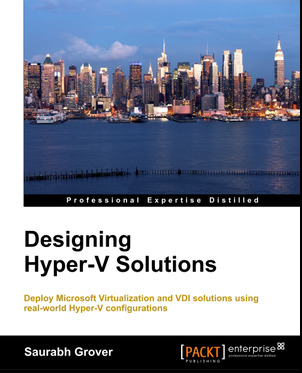 All you need to do is send them a screenshot of Hyper-V that proves that you use Hyper-V and they will send you the licenses which you can use on your own machines or give out to friends, family or colleagues, to use at work or home. The giveaway ends on Dec 24th 2012. View nicely in tablet Nexus 7. Centralized Management using Server Manager to manage Remote Desktop Services. In the past we got 4 different console to manage RDS, but with Windows Server 2012, you only have 1 console which is Server Manager. I have deployed RD Web Access, RD Connection Broker, RD Virtualization Host and RD Session Host. 4 collection has created :- 1 for Application in the VM Pool, 1 for Remote Desktop Session Host, 2 for VM Pool running Windows 7 and Windows 8. Besides, i also show on how to publish an application which is running in VM into RD Web Access. Access to RD Web Access and able to view group of application and console published in RD Session Host and Application from VM Pool. With Windows Server 2012, now you can group multiple application into Folder and display in RD Web Access. Showing access to Pool VM which is running Windows 8 Enterprise. Walkthrough on Start screen, make the tile smaller/larger, arrange the tile, group the tile and open facebook photo using Win 8 Photo App which is showing Legoland Malaysia. Access to pool VM and try to play video USB thumb drive which i just plug from my laptop. I was able to video the USB thumb drive and access to content. Try to play one of video using Win 8 Video App but failed. It is because the app cannot play *.3gp format. Therefore, i access to App-V 5 new management console using web browser and publish 3 application:- winrar, VLC player and Firefox browser. After publish, i use the modern UI App-V 5 client to get the updated virtual application. Now i was able to play the *.3gp format by using VLC Virtual Application. Today during Microsoft Techday 2012 (Malaysia), we have presented about Windows 8 Virtualization to 300+ audience at Sunway Pyramid Convention Center. Do you want to understand Microsoft technology in a simple way ? All you need to do is visit “Store” on Windows 8,search for “Server Posterpedia” app and install it. Once installed, select the poster. To zoom in/out, press “Ctrl + Scroll Mouse”. Dear IT Pros and MVPs! 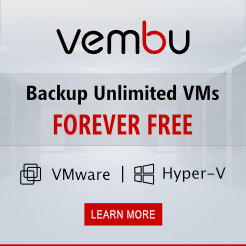 Our blog sponsor: Veeam offers you a FREE 2-socket NFR license for Veeam Backup & Replication 6.5 which can support Windows Server 2012. If you are a VMware vExpert, VMware Certified Professional (VCP) or VMware Certified Instructor (VCI), get your NFR easily by clicking here. If you are an MVP, MCP or MCTS, click here to get your free license. 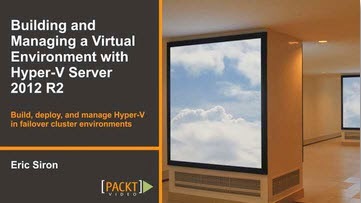 In my previous post, i have talked about how to configure Hyper-V Over SMB. To move on, we are going to look into how to backup Hyper-V Over SMB using DPM 2012 SP1. There are few pre-requisites that you need to configure before proceed to use DPM to perform backup. That should do the trick and DPM will not successful backup Hyper-V Over SMB.